Property Location Located in Brasov, City Center Hotel Brasov is convenient to Piata Sfatului and Black Church. This hotel is within close proximity of Mount Tampa and Silviu Ploiesteanu Stadium.Rooms Make yourself at home in one of the 28 guestrooms featuring minibars. Rooms have private balconies. Complimentary wireless Internet access keeps you connected, and satellite programming is available for your entertainment. Conveniences include phones and desks, and you can also request irons/ironing boards.Rec, Spa, Premium Amenities Make use of convenient amenities, which include complimentary wireless Internet access and tour/ticket assistance.Dining Enjoy a meal at a restaurant, or stay in and take advantage of the hotel's 24-hour room service. Quench your thirst with your favorite drink at a bar/lounge.Business, Other Amenities Featured amenities include a 24-hour front desk, multilingual staff, and a safe deposit box at the front desk. Free self parking is available onsite. Property Location Located in Brasov (Sacele), Atlas Hotel Brasov is within the vicinity of Mount Tampa and Piata Sfatului. 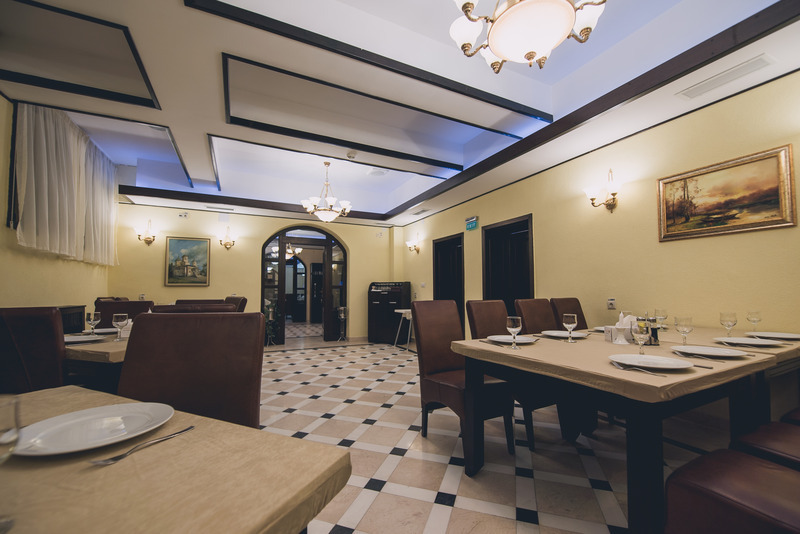 This hotel is within the vicinity of Black Church and Saint Nicholas Church.Rooms Make yourself at home in one of the 30 air-conditioned rooms featuring minibars. Complimentary high-speed (wired) Internet access keeps you connected, and satellite programming is available for your entertainment. Conveniences include phones, as well as safes and desks.Rec, Spa, Premium Amenities Take in the views from a garden and make use of amenities such as tour/ticket assistance.Dining Enjoy a meal at a restaurant or in a coffee shop/café. Or stay in and take advantage of the hotel's 24-hour room service. Quench your thirst with your favorite drink at a bar/lounge.Business, Other Amenities Featured amenities include a 24-hour front desk, multilingual staff, and a safe deposit box at the front desk. Property Location When you stay at Predeal Comfort Suites in Predeal, you'll be convenient to Predeal Ski Resort. This 5-star hotel is within the region of Poiana Brasov Ski Resort and Cantacuzino Castle.Rooms Make yourself at home in one of the 36 air-conditioned rooms featuring minibars. Your room comes with a Select Comfort bed. Rooms have private balconies or patios. Private bathrooms with shower/tub combinations feature jetted bathtubs and hair dryers.Rec, Spa, Premium Amenities Enjoy a range of recreational amenities, including an indoor pool, a spa tub, and a sauna.Dining Enjoy a meal at a restaurant, or stay in and take advantage of the hotel's room service (during limited hours). Quench your thirst with your favorite drink at a bar/lounge.Business, Other Amenities Featured amenities include a 24-hour front desk and a safe deposit box at the front desk. Free self parking is available onsite.